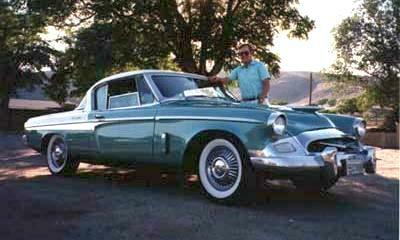 This great looking 1955 Commander Hardtop is owned by J. L. Jacobson of Santa Monica, California. 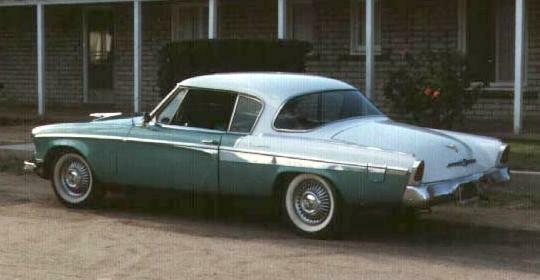 It was built in the Vernon, California plant in February 1955. The car is equipped with electric windows and a power front seat, in addition to power steering and power brakes. This has to be a rare combination of accessories on a 1955 Commander. The first two photos show the car with incorrect wheel covers, which is how it was found. These have neen changed to the correct style as can be seen in the third photo. The car was in the Los Angeles area until 1976, when it was purchased by George Russell. George died in a motorcycle accident in 1979, so J. L. has not been able to trace the early history of the car. If you know anything about the early history of this unique Commander, please contact J. L. Jacobson at JLJac@aol.com. The President Speedster Hardtop was the top of the line for 1955. The Speedster was powered by a 185 horsepower version of the Studebaker 259 cubic inch V8 that included a four barrel carburator and dual exhausts as standard equipment. Fog lights and wire wheel covers as seen in the picture above were also standard on the Speedster. 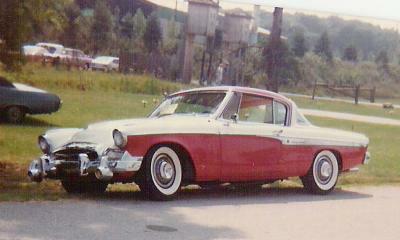 The two tone paint treatment is different than on the 1955 Commander Hardtop featured as Stude of the Month. The Speedster was a one year only model that was replaced by the Packard powered Golden Hawk in 1956. 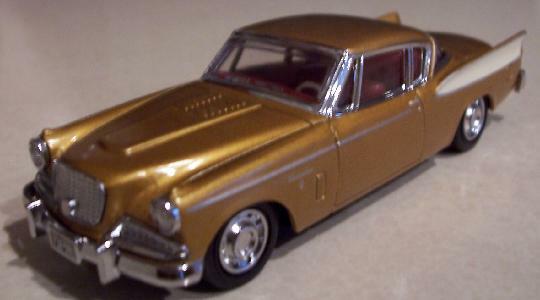 This Matchbox Dinky 1958 Studebaker Golden Hawk is from my Stude toy collection. It is a really nice model down to its accurate 1958 Virginia license plates. This model was issued several years ago as part of an effort to revive the Dinky line. Although the old Dinky line included a Golden Hawk, this is an entirely new casting that includes a nicely detailed interior. 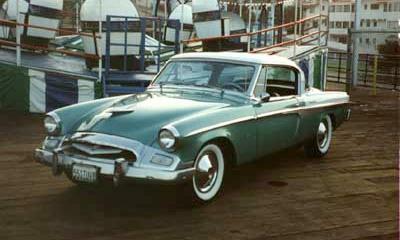 To see more toy Studes, visit my new Studebaker Toys Home Page which is just getting under way. Click here for information on ordering a toy Frankenstude Hot Rod in five available colors, 1961 Champ Truck, or 1951 Starlight Coupe.